Kendal has been twinned with Killarney for many years. Known as the ‘Gateway to Ireland’s Majestic South West’ Kendal and Killarney share many similarities, including a Lake District on its doorstep. 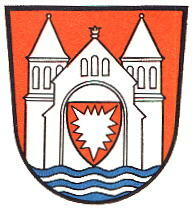 Kendal has been twinned with Rinteln since 1991. Rinteln is situated on the River Weser in the region of Lower Saxony approximately 60 kilometres west of Hanover and 25 kilometres North West of Hamelin. Rinteln, with its small but fine Altstadt (old town) is considered a jewel of the Weser Renaissance (1520-1620). The historic centre with its market place is decked out with gorgeous bay windows, gables, shell ornaments, fan-rosettes, scrolls, cornices and a host of timber frames. The Kendal Rinteln Association works tirelessly to promote Kendal to the inhabitants of Rinteln and its surrounding villages. Several hundred Rinteln inhabitants have visited Kendal, many several times developing close family friendships which last a lifetime. Educational links have played an important role in cementing friendship between the young people of our twin towns. Formal links exist between Heron Hill Primary School and Grundschule Nord Primary School in Rinteln as well as between Vicarage Park Primary School and Exten Primary School located in a village just outside Rinteln. Over the past few years a number of Kendal sixth form students have attended the annual Rinteln Sommeruni helping to foster Anglo German relations. Cultural links have always played an important part in the twinning relationship. The Kendal Concert Band, the K Shoe Male Voice Choir and the Westmorland Step and Garland Dancers have always been well received on their frequent visits to Rinteln. The Kendal Young Singers visit in the 1990s is still fondly remembered by older Rintelners. Sporting links have developed in recent years. In particular the visits of the Kendal Boys Under 17 football team and the Kendal Ladies football team have attracted significant local press interest. The visit of a team from the Rinteln Boxing Club to Kendal was a highlight for all the young boxers that attended.